Designed in parallel with leading-edge camera manufacturers, the SanDisk Extreme PRO CFast 2.0 memory card delivers the speed and capacity professionals need for Full HD recording specifications, including high-definition 4K video recording. Next level write speeds help you keep up with the new generation of professional cameras and camcorders, while data transfer speeds of up to 515MB/s make your post-production workflow more efficient. With 64GB you get plenty of room for large RAW image files and the high-quality video that broadcast and cinema demands. Designed in collaboration with leading-edge manufacturers, this new CFast 2.0 memory card delivers the high performance of the broadcast, cinema and photography industries demand today. 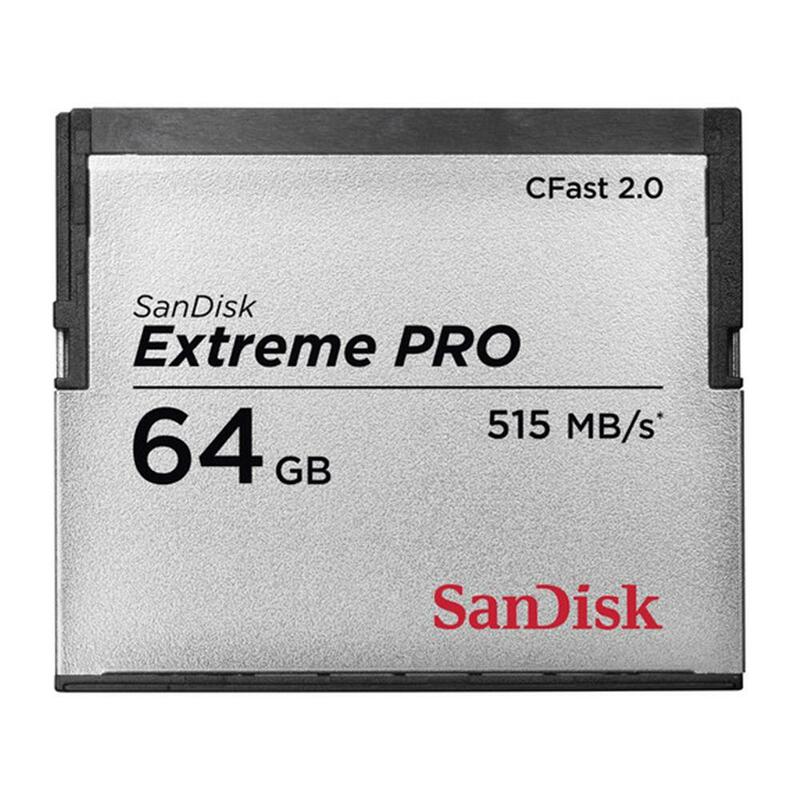 The SanDisk Extreme PRO CFast 2.0 memory card with write speeds of up to 240MB/s (1600X) and data-transfer speeds of up to 515MB/s (3433X), the 64GB memory card can keep up with the burst-mode shooting of professional-grade cameras and camcorders. It also saves you time when moving large image or video files from your camera to your computer. This memory card can operate in temperatures ranging from -13 to 185 degrees F (-25 degrees C to 85 degrees C).